The new season of Netflix's House of Cards is a fantasy thriller for middle-aged cat ladies. Taking charge. Robin Wright’s Claire Underwood has a take-no-prisoners attitude in a new teaser for the sixth and final season of House of Cards. 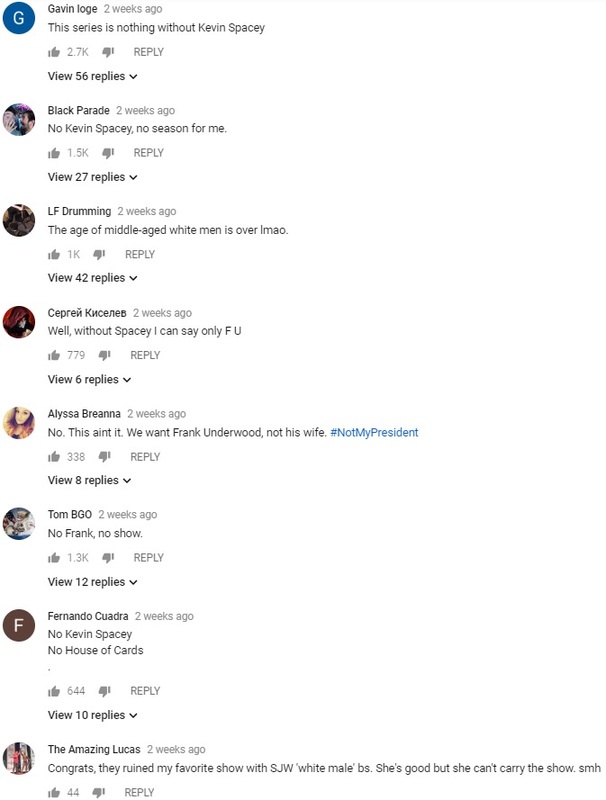 No doubt Hillary Clinton will watch every episode, but judging by the negative responses in the comments, it doesn't seem like many others will.